Tickets £5.00, available over the phone on 020 7485 7793 , in person from the shop, or via the link below. Only Clement Atlee, Harold Wilson and Tony Blair have won power from a sitting Conservative government. Of the ten general elections since 1979, Labour has won three, all under Blair. This record of failure, if applied to any other walk of life, would raise the fundamental question of why continue to fight a losing battle? 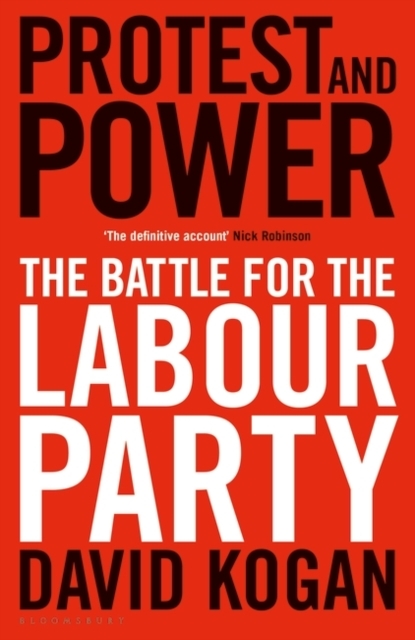 For Labour, it asks whether it is a party of protest – designed only to be a voice from opposition, commenting on the flaws and falsities of Conservative policy – or a party of power?Including exclusive interviews with key party members from the 1970s to today, including Neil Kinnock, Tony Blair, Ed Miliband and Jon Lansman, this book chronicles the conflicts within the Labour party, the schisms between ideologues and pragmatists, and how these fissures seem destined to keep Labour in opposition.